Good crop needs good soil and good soil needs the right tillage equipment to give the ground a good work up. 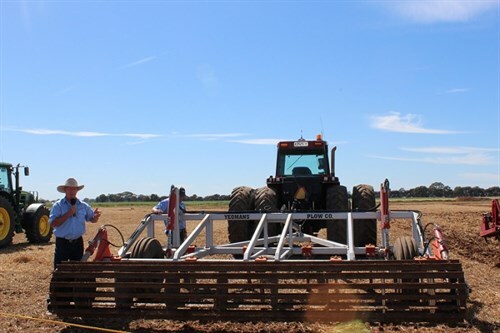 NFM machinery experts Dr Graeme Quick and Tom Dickson share their knowledge on cultivators and give us some tips on selecting the right cultivator for your operations. How do you choose the right cultivator for your farm operation? We share our tips. First and most important question to ask is, why till? Tilling involves modifying the state of soil to make it more favourable for growing crops, usually by improving tilth. However, there is no rigid definition of ‘tilth’. Tilth certainly isn’t affected by implements alone, but it very much depends on other factors such as soil type and weathering. For example, the Darling Downs’ deep black soils tend to crack naturally as they dry out. In fact, the cracks can sometimes be large enough to swallow a spanner! With so many cultivators on the market, how do you choose? Firstly, it is important to know the different types that are available. 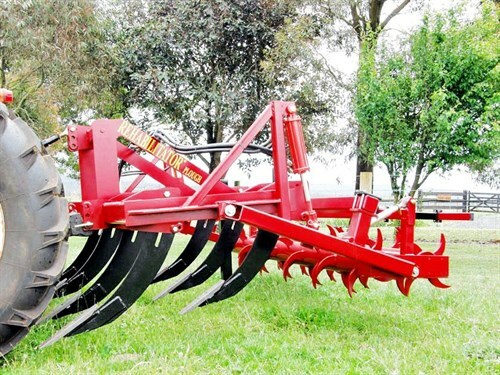 There are two major categories of tillage implements on the market: primary tillage and secondary tillage, distinguished by the depth of working. Within the categories, there are several different types of cultivators. Primary tillage machines in general are larger in size and have bigger tynes and discs to really shake up the soil, while secondary tillage equipment are used to further break the soil down into finer particles. These machines are generally used on previously untouched soil or ground that hasn’t been farmed for a while, which results in soil that is more firmly packed. Hence primary cultivators have larger tynes or discs, depending on their configuration, to rip through the soil for a good shake up. The mouldboard plough is possibly the oldest and most basic form of cultivator that was towed by horses or bullocks back in the days, way before herbicidal sprays were invented. 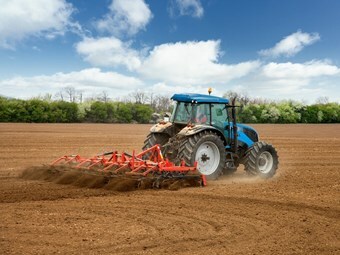 In addition to loosening up the soil, the plough slices through the soil and turns it over to kill all germinated weeds. Modern versions do the same thing, except with added tynes and hydraulics for breakaway. In fact, many modern cultivators feature some form of breakaway mechanism, whether it be spring or hydraulic to allow them to work through obstacles in the soil such as tree roots or rocks. In the event of a tyne or disc hitting an object in the ground, the mechanism allows them to move away from the object to avoid damage and to avoid putting a complete halt to the cultivation task at hand. Instead of steel tynes (or shanks), disc ploughs feature a row (or rows) of round discs that rips into the ground for a good soil work up. There are two types of disc ploughs available on the market: one-way disc ploughs and offset discs. The one-way disc plough features a single row of discs that are aligned at an angle to work through the soil when towed by a tractor. Offset discs consist of two rows of scalloped discs that run at about a 45 angle to each other, thus "offsetting" each other. The first row of discs serves to cut the soil up while the second row chops the soil further and levels it. 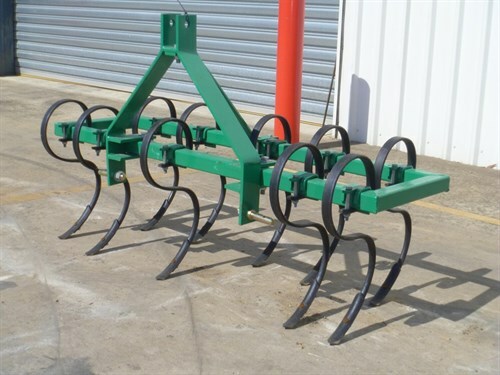 The offset disc cultivator was initially designed as a secondary cultivator, which breaks soil down into finer mulch following an initial round of cultivation. However, more manufacturers are producing larger and heavier-duty offset discs nowadays so it has entered into primary tillage territory. Hence, offset discs can be used either as a primary cultivator or secondary cultivator. However, the lack of suspension in the offset discs to break away from objects in the ground makes them rather vulnerable to damage in stony ground. Chisel ploughs feature rows of heavy-duty steel shanks that cut into and drag through the soil when towed. 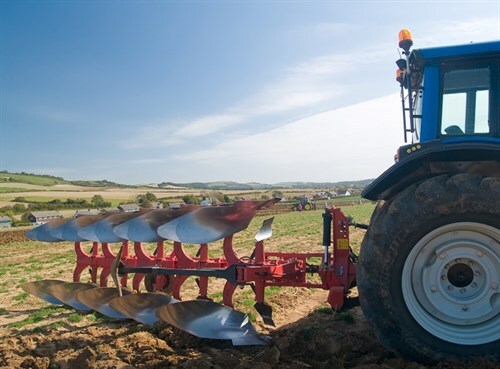 Unlike mouldboard ploughs and disc cultivators which churn and throw the soil around, chisel ploughs cause minimal disruption to the natural layering of the soil and its content. They create deep rip lines which promote drainage and encourage deeper root growth where previously untapped nutrients can be resourced. They usually feature either spring or hydraulic-release breakaway mechanisms to prevent the shanks from getting damaged by stones or rocks in the ground while working through the soil. Following an initial round of soil work-up using primary tillage equipment, secondary cultivators serve to further chop up the soil into a finer seedbed for sowing. Secondary tillage machines are more lightweight than their primary counterparts and often do not require as much horsepower from the tractor. 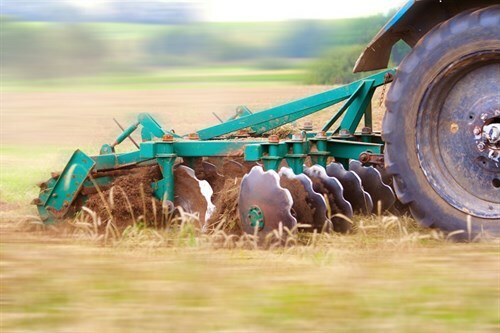 These two types of implements generate power from the tractor’s PTO and feature tynes or shanks that rotate at high speed to smash the soil into a fine tilth. Many modern rotary hoes and power harrows also feature a packer or crumble roller to further enhance the effectiveness of the process. As aforementioned, offset discs are primarily used for secondary cultivation but due to the sizes they are manufactured in nowadays, they can also be used for primary cultivation on virgin ground if need be. 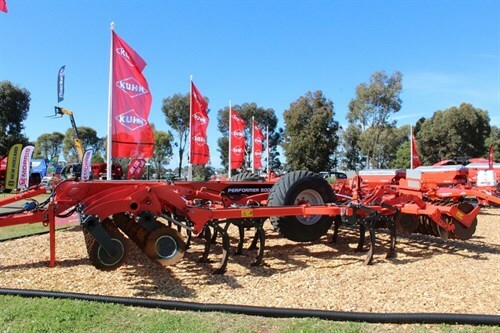 Hence, offset discs are better value for money as they can do both at the same time and eliminate the need for one to purchase a primary cultivator and secondary cultivator separately. However, the downside is that offset discs do not have breakaway mechanisms which makes them more prone to damage. Tyne cultivators are effectively smaller and more lightweight versions of chisel ploughs. They feature rows of tynes, like a chisel plough, but with thinner and shorter tynes to further loosen up the soil instead of ripping deep through it. Each individual tyne can carry a series of different attachments such as hoes, shovels and sweeps, depending on the task at hand. They can be bolted, clipped on or knocked on. 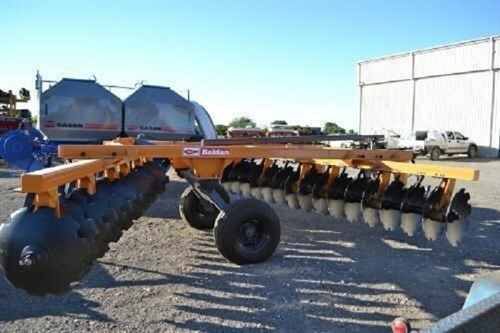 We have covered the most basic forms of tillage equipment but cultivators currently on the market are more often than not a combination of two or more types in one machine. For example, Kuhn’s new Performer cultivator (pictured above) is a combination of both chisel and disc, to allow users to complete their cultivation in one pass. Some cultivators like the above from local tilling equipment manufacturer Yeoman’s Plow, feature tynes at the front and a crumble roller at the back to do both primary and secondary tilling at the same time. In addition, there are also machines on the market allowing you to cultivate and sow at the same time, helping farmers save time and money. However, the more a machine can do, the more they cost. Now that you know some of the different types of cultivators out there, what should you consider when you’re in the market to purchase one?